Three cars have been destroyed after a fire broke out at a car garage in Bradford. Smoke could be seen bellowing out of the site of the Barons Testing Station repair workshop off Leeds Road. Three vehicles, which were parked in the yard next to the garage awaiting repair, were written off by the blaze, which also threatened the neighbouring Bradford Hand Car Wash business. Incidents such as this highlight the importance for car garages and dealers to have a motor trade insurance policy that will protect the vehicles they are repairing or selling against the risk of fire damage. Fire is a common risk for businesses of this nature, so having insurance cover for the premises and the valuable items stored within it is extremely important. 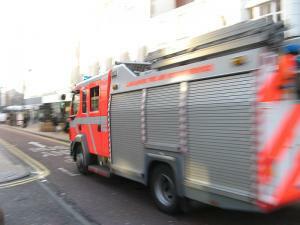 Firefighters from Bradford station were called to the scene, the Bradford Telegraph and Argus reported. A spokesman said: "It looked bad when we got here because thick black smoke was billowing across the road." A small crowd also gathered near the incident. One man said: "We thought some tyres were on fire because of the black smoke. It was thick." Firefighters had to break into a neighbouring building to make an electricity supply safe, before then tackling the flames, which had caused a major traffic disruption in the area.